Brisbane, Olaplex is here and Studio Red Hair Design is your number one place for it. The game changer of hair protection and treatment is here. Yes that’s right: Olaplex Brisbane Studio Red Hair Taringa! 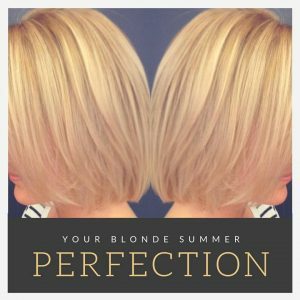 If you have heard of Olaplex you will understand the hype, if you have never heard of it, let us explain. 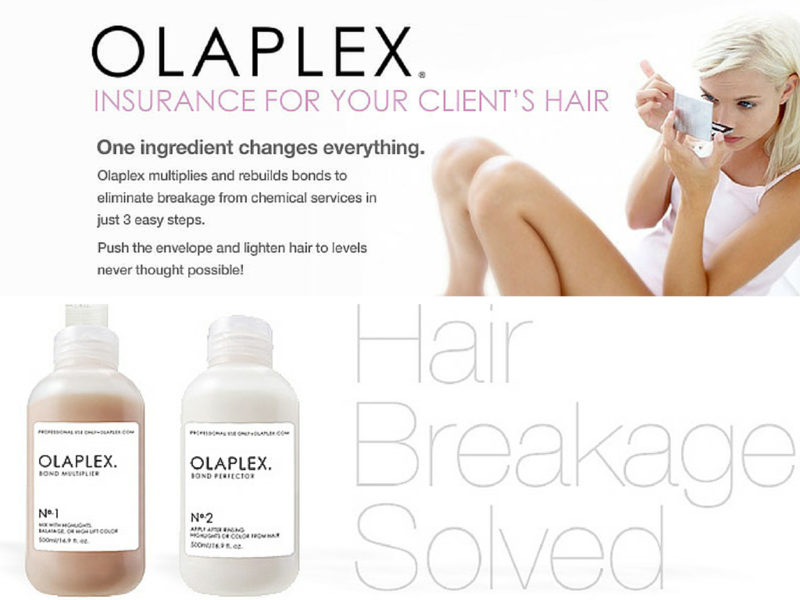 Olaplex is a bond multiplier which has been deemed a miracle for your hair. It helps to rebuild the bonds of your hair while making them stronger than before… WHAT? We all know that colouring, sun, salt and poor treatment will damage your hair. When it comes to colouring, the end result can include damaged ends, weak and brittle hair or, the absolute worst, disintegrated, burnt off hair. So how do you protect your hair while still maintaining your colour? 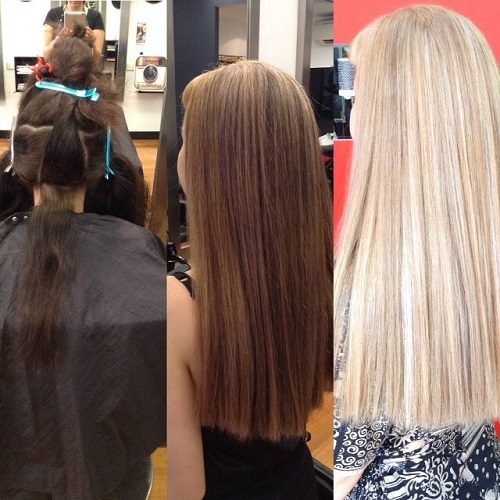 Introducing the miracle that is Olaplex. Designed by two chemists who saw a problem with hair colouring and decided to go about fixing it. They designed a bond multiplier to repair the damage caused by colouring. It works at a cellular level to repair the broken links in your hair. 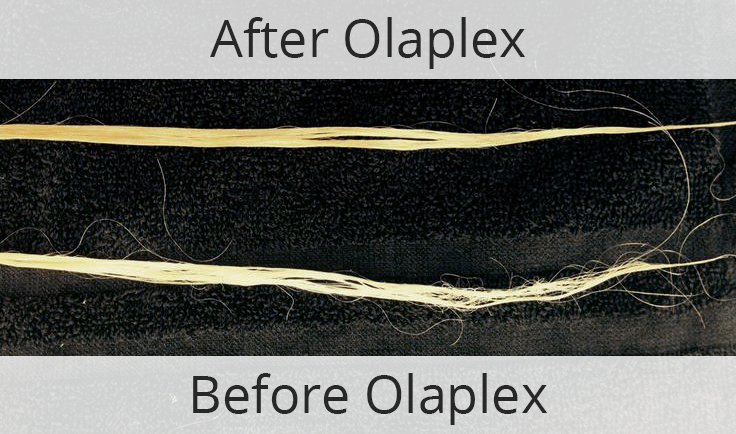 Unlike many other treatments that either superficially cover the damage or slow down damage rates, Olaplex works on you hairs cells to repair it, leaving your hair stronger than before. You can see by the results on the left the difference on wet hair. 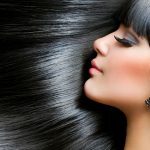 So how is Olaplex actually used? You can go from one extreme colour to another. How did Kim Kardashian go from jet black to white blonde and back again a few days later? Olaplex. You can use it on damaged hair to help it repair and grow. You can use it for those pastel colours that are in right now. 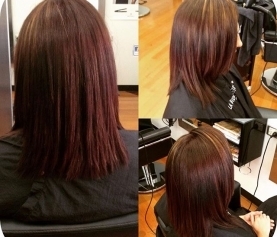 Olaplex works in a three part treatment. We add it to your lightener (bleach) or your hair color. After your colour service is complete, the Bond Perfector is applied and left on for 10+ minutes. Plus, you get a take home treatment to use once per week for maximum results. Here are our results with Katie (all pics are unfiltered). Katie’s hair had some damage through colouring, sun damage and the usual every day wear and tear you expect. Normally we would recommend this colour change to be done over a few sessions, to ensure that the hair doesn’t get too damaged with the colour change. 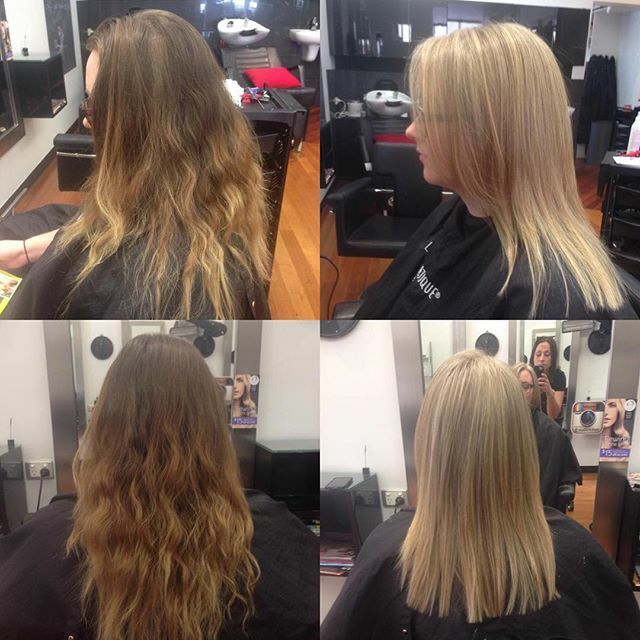 Using Olaplex we were able to safely colour Katie’s hair, but not only that, her hair felt amazing after. It ran smoothly through her hands and was in better shape than before we started.